Hi, and welcome to Racing Secrets. 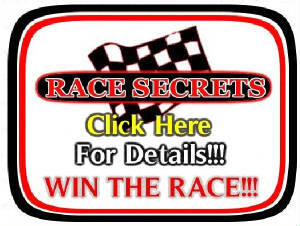 Racing Secrets is a new program I have started to help promote my new website www.freewayauction.com . Now there is rules to this program along with guidlines and maybe some fee's. Below you will learn more about this program and how it works and what you have to do to be a part of it. There is many stipulations to this program and they all must be followed to get my secrets. If you do not follow the guidelines you will not get any secrets. So please now that you have seen our introduction please read on and find out the stipulations. Rule #2 Sessions are only an hour long. Rule #3 You must support my new website www.freewayauction.com by placing my freewayauction logo on the hood or tail of your racecar. The logo is listed below it must be 1 1/2ft. by 3ft in size. 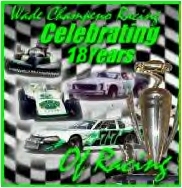 Listed below is the image of how I want my decal to look on your racecar. Rule #4 If you have a website you must run these two ads on the front page of your race website. The size of these ads should be the same size as pictured below. These pictures should also be links pointing at the correct site for each ad pictured below. Logo one race secrets should be linked to this address: http://champenoracing.com/racing_secrets.html. Logo two Freeway Auction should be linked to www.freewayauction.com . Freeway Auction should be listed in the highest up location on your website above everyone else and the racing secrets should be listed below it. Rule #5 You must abide by these other stipulations listed below and have these ready when you call me. 1. You must be infront of the computer ready with microsoft works word processor open and ready to take and save notes. 2. You do not get the following lesson until you aquire everything i tell you that is neccesary to get or do. 3. You must write everything down that I tell you to write down and you must aquire everything I tell you to aquire. 1. All Lessons are $50.00 a piece. 2. Unlimited Calls from the track for $40 on a weekend night of racing. 1. I will give you two track sheets you are to have them filled out properly and accurately before you call me from the track. 2 The first sheet is called track set up sheet. I need the tire pressures filled out, I need the tire temps filled out, Tire temps should be taken immediately after coming off the track, I also need to know what the wheather is going to change to by the next time you hit the track wheather its going to get cooler or hotter. 3. The second sheet is called the track sheet. Its designed to get the most accurate reading out of a driver. You must follow by my guidlines and do as I tell you. I will not tell you this secret till your a paying customer and promoting my website. 1. Discount one is my site is just starting out. Your job is to get as many people as you can to sign up and start listing auctions. They can list classified's to but I want you to get them to list auctions first and classifieds second. If you get people signing up and I see they are signing up from your region you will get a 40% discount on your $50.00 Lessons. Making your lessons $30.00. 2. Discount two is you have to refer people that need help and don't mind obiding by these rules. If you can personally have your name mentioned when they call me and they have there microsoft word processor open and are ready to take notes when they call I will accept them as a client. The Discount for referalls is 10% which is five bucks. Making your lessons $25.00 if you get both discounts. 3. There is no Discounts on weekend help at the track. Now Turn That Frown Upside Down!!! Haha.. This isn't that bad. 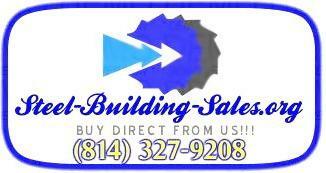 I am only charging fee's now because my website www.freewayauction.com is not showing income yet. This is to help you the driver. The fee's are not outragiously priced and you will learn every secret there is to know about a racecar. I only want paid for this is because I'd rather stick around my house and work on my website then be out doing construction with my dad. But if you want to win and do well you will pay this and do all the following listed above. I only accept credits cards. The fee must be paid before the learning begins. The billed hour don't start till bill is paid. I will prolly go over the hour if we are having problems sinking in everything. 1. I must be paid before every lesson begins. 2. You only receive the discount if succeed at my tasks. 3. Weekend night race help will only be possible if you call me before you leave for the race and pay ahead of time. Then I will be waiting for the many calls to come threwout the night between runs and only call when the notes are filled out. Finally last and not least if you want to participate call 814-327-9621 and please have credit cards ready and your microsoft word proccessor open and ready to take notes.